Ah…the first day of school is less than TWO WEEKS away…and I could use another two months of summer…I have been creating a mental “To Do” list for the first two weeks of classes. During this time period I initiate my students into the wonderful world of technology in education. I have them sign up for most of the tools and programs we will be using in class, run them through basic tasks on the iPod Touches, and explain what is expected of them. As of now, I will not be pulled from my classes to be the district’s Technology Integrator, we have not received any funding from Pennsylvania as of yet, so I will be in my classroom full time. That may change if funding goes through, or some other opportunity, or random happening occurs. So without further adieu, here is this year’s list, or at least what I have thought of so far…it is an aggressive schedule and if I find the students need more time, I will give it to them. If the office has my class lists ready on Tuesday when I stop by the school, I can create my class lists and organize my Google Apps for Education accounts for my students. I can also create Discovery Education Accounts and organize my students Gaggle.net email accounts. These are tasks I must do for them, most of the other stuff, the students will do in class…which makes my life easier! Day One’s agenda, I will hand out my class expectations and Textmarks documents, along with introducing the iPods to the kids. The sign out and sign in process will take almost half of each period. I am hoping that I do not have more students than iPods, but if I do, I was promised five laptops to help out. Day Two’s agenda will begin the sign up process for Web 2.0 tools. I will start with Edmodo, which will be my online classroom platform. Once they sign in or up, the students will answer a survey question on technology experience, post a note in the discussion board to introduce themselves to me and the rest of the students, see how I will be posting documents for them to access online, and follow a link that I post out to the class wiki. They should have time to also look over some of the iPod apps once they complete the above mentioned basic tasks. On Day Three I hope to have them log in to their Google Apps for Education accounts and see how the Documents 2 app works on the iPods. They can type a quick note and upload it from their iPods to their Google Apps account. If this does not take too long, I will then have them log in to their Gaggle email accounts. Between Gaggle, Edmodo, and the Google Apps for Education accounts my students will have extended access to the classroom. On Day Four, the students will sign up for Evernote accounts and practice using the tools we have discussed in class. I can do this by providing the URLs to every tool used in the Edmodo classroom. The students will have their choice of using Documents 2, Evernote, or paper and pencil for class notes. I will encourage one of the web-based tools since they can access the information without worrying about forgetting papers in their lockers, or at home, or in their car, or a friend’s car, or…you get the idea. Day Five’s agenda will start with a reminder about signing up for my Textmarks account and a preview of the flaschcard apps on the iPod Touches. I will have shared out a couple of sets of flashcards in .csv file format via Google Apps for Education. The students will be able to sync the flashcards to their iPod Touches using the flashcard apps. They will have time to see how the apps work and possibly find one they like more than the other apps. I am going to encourage the students to contribute flashcards to the class by creating their own accounts to the flashcard sites online. I will offer points for the creation of the resources. This will get the students more involved in the learning process and take some pressure off of me to be the sole creator of educational information for my classes. I am using only free flashcard apps, so students may have to create more than one account if the “free accounts” limit the number of flashcards they can create. I will also model how we will use the flashcards on the Polyvision Interactive Whiteboard (IWB) in my classroom. 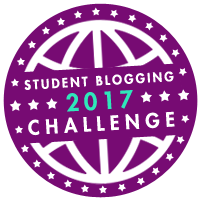 At some point I will introduce the student blogs, probably Day Six will be the day. I recently upgraded to an Edublogs pro account. 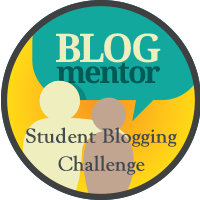 I am not sure exactly how I will roll out the 50 student blogs. I may make the blogs mandatory and regularly occurring in my Freshman Honors Civics class and keep the blogs as voluntary enrichment in my other classes, or mandatory with less postings required. I am leaning towards mandatory blogs with less required postings, it will give all of my students the experience they need in a global society. Days Seven through Ten will be lab time for the students to work with the iPods completing tasks such as sending e-mails using the iPod Touches, uploading Documents 2 and Evernote files. Taking screenshots with the iPod Touches and emailing them to me. I will have the students record audio files on the iPods and send them via e-mail. The goal is to get the students somewhat familiar with the technology before we jump into the curriculum for the year. I do have to have students sign up for Animoto using my teacher access pass and my Civics students will need to log in to their online textbook during this time period. I will also show them how my online Elluminate class will work and allow model the features. I hope to start online office hours by Week Three of school. I will use the Edmodo classroom to survey the students as to the night and time that best suites their availability. I am hoping that the mini Eno board that I ordered in the spring has arrived. The students can practice using the handheld board to work the Interactive Whiteboard from their desks. My hope is that the students will be able to use the mini board so they do not have to get up and walk to the IWB all the time to participate in class. It would not be an issue if we had block schedules instead of 40 minute classes, so I must find ways to save time in class. I hope that by the end of the second week, we can sign the iPods out and in, in under 5 minutes much like the past school year. The above schedule is subject to change, especially if we have any fire drills, assemblies, public announcements in the middle of class, and the inevitable schedule changes throughout the first several weeks of school. I am thinking that the students may need more time to complete the tasks at hand and become comfortable with the technology, but they may just surprise me and run way ahead of the schedule…either way I will adjust.